2014 certainly started off with a bang as we continued to make major renovations at our manufacturing site, including a new, highly sanitized pad assembly room. 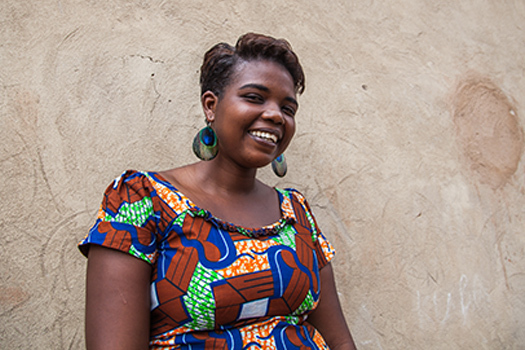 Read on to learn more about you've helped us to accomplish in the first quarter of 2014. Don't forget to also check out our new website and follow our blog where we report the latest and greatest that we are up to in Rwanda and globally. You gotta get your hands on this! 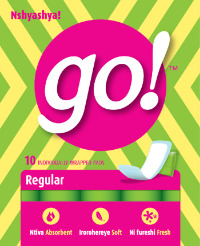 Introducing go!, our new brand identity for the SHE LaunchPad in Rwanda. The go! brand is more than a logo; it's design to be a powerful strategic asset to build loyalty and trust among our girls. Will you grab a sledgehammer to bust taboos? That’s what we did as we made extensive renovations at our Ngoma production facility. The result: a new sealed-off pad assembly room, custom-built stainless steel drying station and tables for pad assembly, a freshly painted building, and new windows to satisfy the curiosity of our neighbors! What is one way you can keep the economy healthy? A) Cut down on fried foods; B) Purchase blenders so everyone can drink smoothies; C) Add more women to the job market. If you picked C) ding ding ding, you’re right! According to IMF’s Christine Lagarde, giving women access to the formal job market isn’t just about equal opportunity - it makes economic sense. That’s why our manufacturing team in Ngoma has 7 women as part our team - meet Marie Louise (at left) and the rest of team! Puberty Education and Menstrual Hygiene Management, that also includes a case study of our business approach and advocacy work (page 34). This year, we will take it to the next level. We will train 50 teachers to confidently deliver puberty education and menstrual hygiene management to their students in after-school clubs. Stay tuned as we reverse the trend of menstrual taboos! P.S. Mark your calendars - May 28th will be the first-ever Menstrual Hygiene Day and SHE will be joining in the taboo busting! Thank you for making this impact possible. Help us keep this work go!-ing. Copyright © 2014 Sustainable Health Enterprises (SHE), All rights reserved. You are receiving this email because you've donated to sheinnovates.com or subscribed via our website.